Dethroned from his kingdom and with his wife dead, Mathayus returns to his life as an assassin, but receives an offer to protect a far off land from an evil invader's ghost army. This movie was made as a direct-to-video release in 2012 as The Scorpion King 3: Battle for Redemption. We are never given a year in which this story takes place. We do know it occurs some time after the events of The Scorpion King and before the events of the prologue of The Mummy Returns, which specifically states the year 3067 BC. 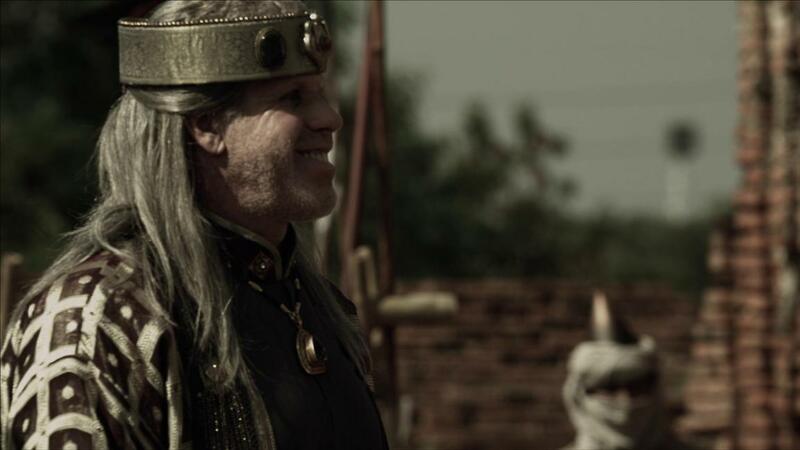 Oddly, in the director's commentary on the DVD, Roel Reiné references the movie as taking place around 4000 BC; this does not correspond with the rise and fall of the Akkadian Empire as known in the real world. Mathayus is played by Victor Webster, perhaps best known as Detective Carlos Fonnegra on the 2012-2015 TV series Continuum. 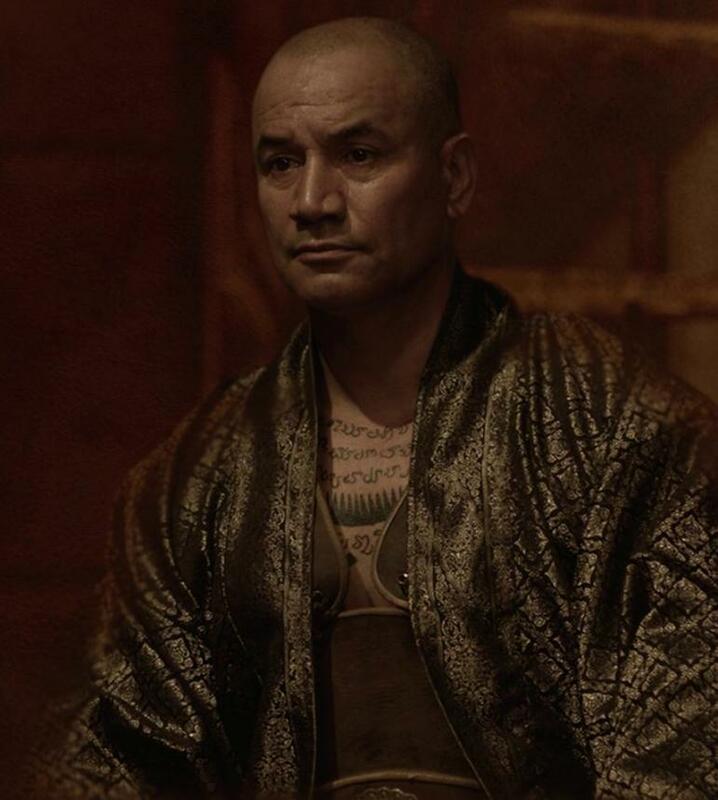 The role of King Ramusan is played by Temuera Morrison, probably best known as Jango Fett in Star Wars: Attack of the Clones. Near the beginning of the movie, it is implied that a plague has struck Mathayus' kingdom, killing many of his subjects and his queen, the prophetess Cassandra. At 2:20 on the DVD, Cassandra is dead, wrapped in linen strips. Some white debris is seen around the body in the grave. The white debris may be clumps of salt used to dry the body for mummification. When Mathayus escapes from his dungeon cell, he cuts the head off his tormentor. This is the head of Siris, which Mathayus later presents to King Horus for a bounty. 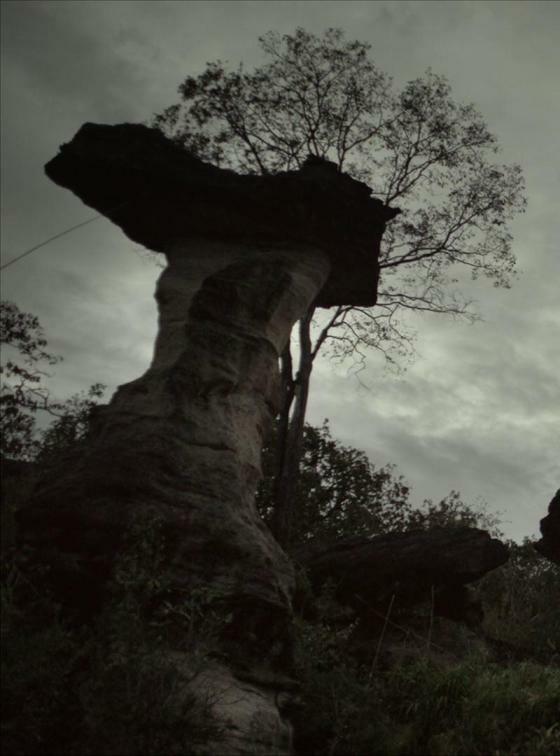 The introductory narrative featuring a map scrolling by the screen is similar to the introductory segment of the original Scorpion King movie. Additionally, the director's commentary reveals that it is the same actor performing the narration. The movie introduces King Horus. To the ancient Egyptians, Horus was the god of Lower Egypt who conquered Set, the god of Upper Egypt and united the two Egypts. 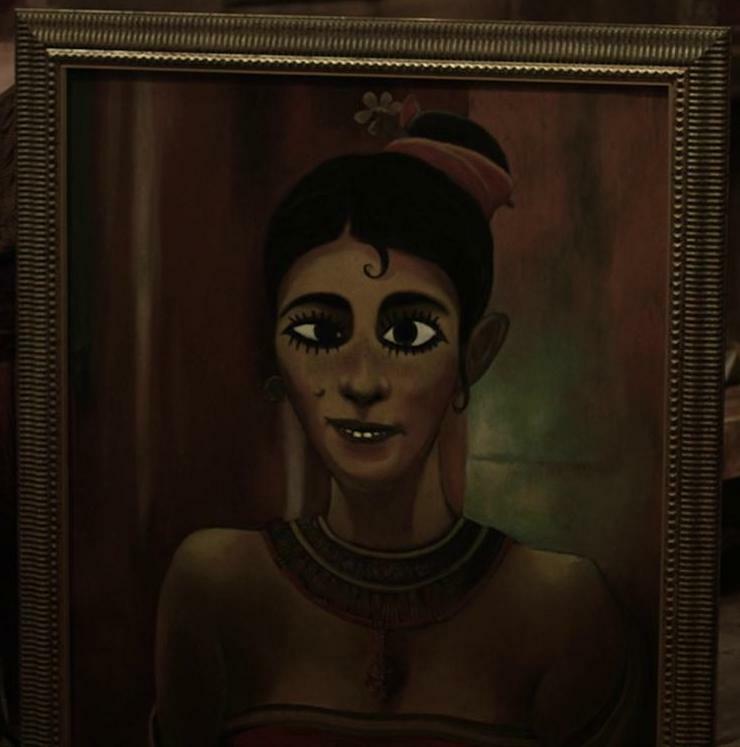 Whether the King Horus in this movie is intended to be the same as the Egyptian god is not clear, but it seems unlikely. At 5:28 on the DVD, King Ramusan appears to have writing tattooed on his chest. This movie is the first appearance chronologically (thus far) of the Book of the Dead. In the audio commentary by director Roel Reiné on the DVD, he points out that the book does not yet have the lock on the cover (though the design is there). The design of the cover is slightly different than that seen in its next appearance a couple thousand years later in The Mummy. Of course, at this early time of Earth's civilizations, there were no books per se; documents were preserved in the form of scrolls or tablets, not books. Throughout the film, we see that Mathayus has a scar on his right shoulder. Presumably this is meant to be where he burned off the scorpion tattoo near the end of Rise of a Warrior, though the scar was not present in the chronologically most-recent film The Scorpion King. The scar also seems to be too small to really be that of the scorpion tattoo that was once there. At 42:07 on the DVD, Mathayus receives a cut to the same shoulder by a Cobra warrior and his previous scar is missing! King Horus tells Mathayus that Olaf was one of the only survivors of the great siege of Babylon. Babylon was an Akkadian city-state, but wasn't founded until 2200 BC or so, well after the presumed time period of this movie. There were a number of sieges of Babylon over the centuries. During the soldiers training session, Olaf tells one of the soldiers that his pointed hat looks stupid. Ironically, he is obligated to wear one himself as part of a disguise later in the film. At 9:29 on the DVD, though the background is blurry, there appears to be a modern tower of some kind and telephone or power lines seen in the sky. The song sung by Olaf at 10:00 on the DVD seems to be similar to the classic Spinal Tap song "Big Bottom". Notice that Mathayus does not ride a camel here as he does in the previous two movies, opting for a horse instead. Olaf tells Mathayus that he is a Teuton from Germania. Teutons were a tribe of people from the region of Germania, generally considered to have been during the 1st millennium BC, much later than the setting of this movie. At 16:02 on the DVD, there appears to be a cable holding the "wild" tree in place. As Olaf sleeps at 16:13 on the DVD, we can see that he has numerous scars on his arm, presumably from battle. As they awaken in their camp to face a pride of tigers, notice that Mathayus tells Olaf, using the Akkadian phrase established in The Scorpion King, "die well." Upon receiving word that his brother Talus has declared war on King Ramusan, Horus states, "By the gods, Talus...I will spill your blood myself for this." But it turns out at the end of the movie that Talus is killed by Ramusan's men, now led by Mathayus. As Mathayus' and Olaf's horses trot along the trail at 17:52 on the DVD, it can be seen that they are wearing horseshoes. But nailed-on metal horseshoes are not known to have been in use until the 1st millennium BC. Notice that Talus' war table at 19:34 on the DVD shows a model of Ramusan's fortress wall, seen seconds later. Notice that Ramusan's fortress looks oddly similar to King Horus' earlier in the movie. That's because they were both shot at the same ruins in Thailand to save money. Notice that Talus' Eastern army wears attire similar to Horus'. This makes some sense since Talus is from the same region as his brother Horus originally. 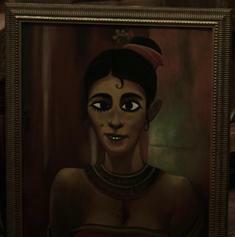 Why is the face in King Ramusan's painting of his daughter, Princess Silda, so much more comical than the comely features of the Princess Silda we later meet? Wouldn't the king be offended by any artist who painted such a portrait? According to this story, at this time the spells within the Book of the Dead can only be used if the spell speaker has the medallion called the Eye of the Gods. The medallion seems to be a fictional artifact. At 33:44 on the DVD, we see Mathayus use the same (or similar) crystal telescope he used in The Scorpion King. At 41:24, we see Talus using a ground-glass lens telescope, but this is much earlier than any known invention of the telescope in the real world; the first known telescopes made with glass were in the 17th Century Netherlands. At 33:49 on the DVD, notice that the handle of Olaf's sword has a skull ornament on the end. At 35:32 on the DVD, notice that Talus' war table has just the sand-colored figures and landmarks on it, but at 35:37, there are suddenly small, colored flags indicating the two battling armies scattered amongst the figures. I noticed there is an awful lot of cross imagery in the flags, banners, and shields of the armies that battle each other in this movie, as well as Roman-looking armor and helmets worn by Talus' and Horus' soldiers, seemingly out of place in the 3rd millennium BC. Most likely the production made use of existing props and costumes to save money, hence the anachronisms. 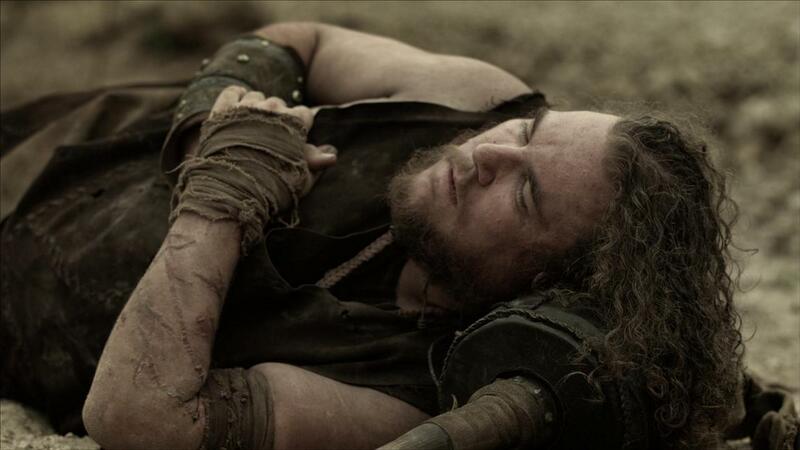 Regaining consciousness after his battle with Cobra/Silda, Mathayus remarks, "What in the name of the demon serpent is going on?" Possibly "demon serpent" is a reference to the dark serpent god Set of Stygia, ancestral of Egypt, in Robert E. Howard's Conan stories. 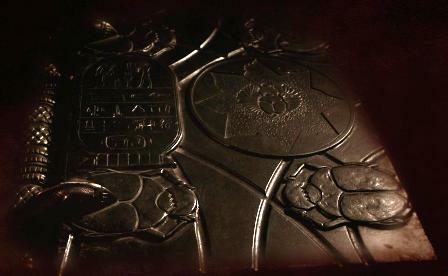 57:59 on the DVD may be the only time in the Mummy universe that we see the back cover of the Book of the Dead. At 59:20 on the DVD, it appears to be raining on Mathayus and Silda's meeting at the river. But it appears to be dry just seconds later! At the Cobra camp, Olaf asks Mathayus, "Where in Odin's codpiece have you been?" Odin is the ruler of Asgard, the home of the gods in Norse mythology, though in the time period of this movie, Olaf should probably more properly refer to him by the Proto-Germanic name Wodanaz. Continuing an insect analogy to battle, Silda asks Mathayus, "If you are an insect, what are you?" and he replies, "Scorpion." Of course, scorpions are not insects, they are arachnids. 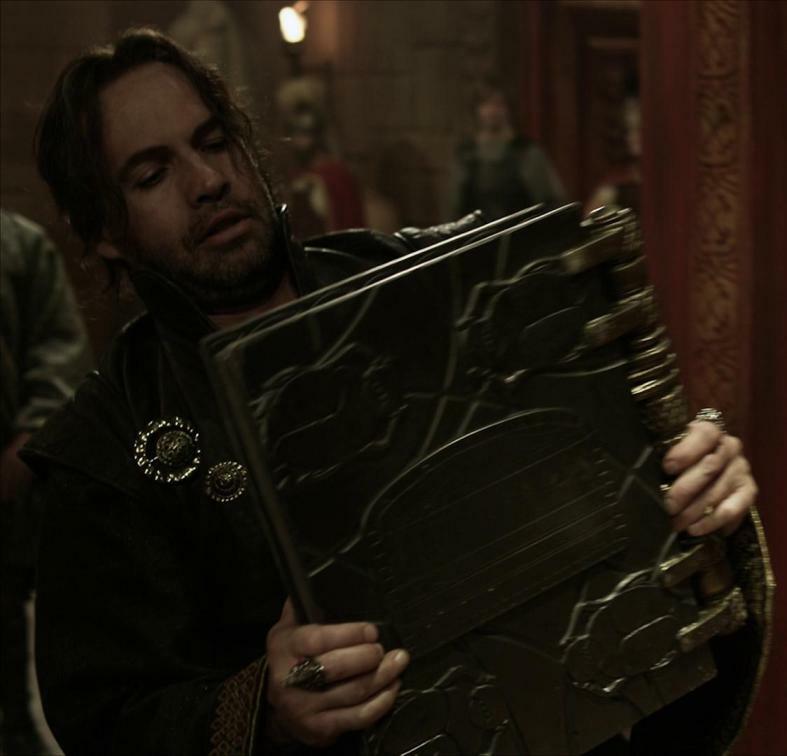 At 1:06:15 on the DVD, the open Book of the Dead appears to have metal pages. When the ghost warrior Zulu Kondo appears to Talus, he says he is a lion spirit from the land of the burning sky. Given his dark skin color and declaration of being a lion spirit, he was probably originally from Africa. The "land of the burning sky" may be a reference to the heat of Africa. The tattoos on his chest and arms are the actual ones of actor Kevin Ferguson (better known as Kimbo Slice in his main career as a mixed martial artist). When Argomael first appears, notice that the skull helmet he wears actually moves its brow ridges to change expressions! Notice also that Argomael's stomach and back appear to be heavily scarred, as if from burning. Perhaps when he was an Earthly warrior he met his end in flames? 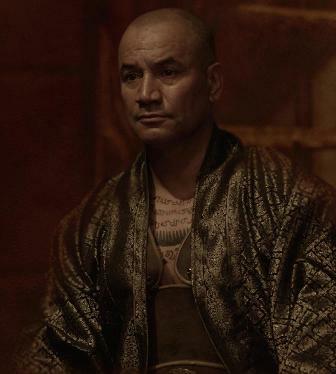 The tattoos on Argomael are the real ones of actor Dave Bautista, former professional wrestler. When Tsukai appears, she tells Talus she is an enchanted warrior from the Land of the Rising Sun. Presumably this is a reference to Japan. The Japanese refer to their country as Nippon, a word which can be translated into English as "Land of the Rising Sun". At 1:28:26, Talus is seen attempting to escape in a chariot. Chariots were not in use in the real world until c. 2000 BC, largely because light, spoked wheels had not been invented until then. At the end of the movie, when Mathayus confronts King Horus as the new ruler of Ramusan's country, notice that he is now wearing the Eye of the Gods medallion. The scenes that play as the end credits of the film roll are from cuts and deleted scenes of the movie. Most of these can be seen more fully in the Deleted Scenes bonus material on the DVD. 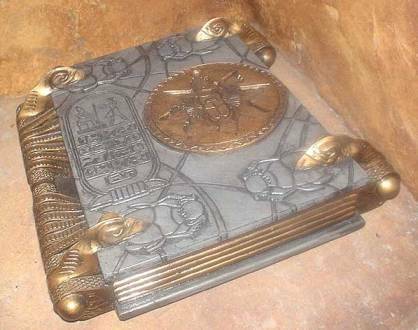 Will Talus rise again after his death due to his association with the Book of the Dead as he claims? What happened to the spirit warriors Argomael and Tsukai? Near the end of the movie, Mathayus, now in possession of the Book of the Dead and the Eye of God, appears to be in command of the two. But they are not present at Mathayus' meeting with Horus in the final scene. Did he send the two back into the book (or wherever they came from)? Or did he keep them around to fight in the battles alluded to in the prelude of The Mummy Returns? What was King Horus' decision regarding whether to allow Mathayus to rule Ramusan's country independently? Did he give his blessing or his blade? In the next film, Quest for Power, Mathayus is seen as a mere mercenary working for King Zakkour in the kingdom of Al-Moraad, so maybe King Horus had chosen to put him to the sword and he was forced to flee!